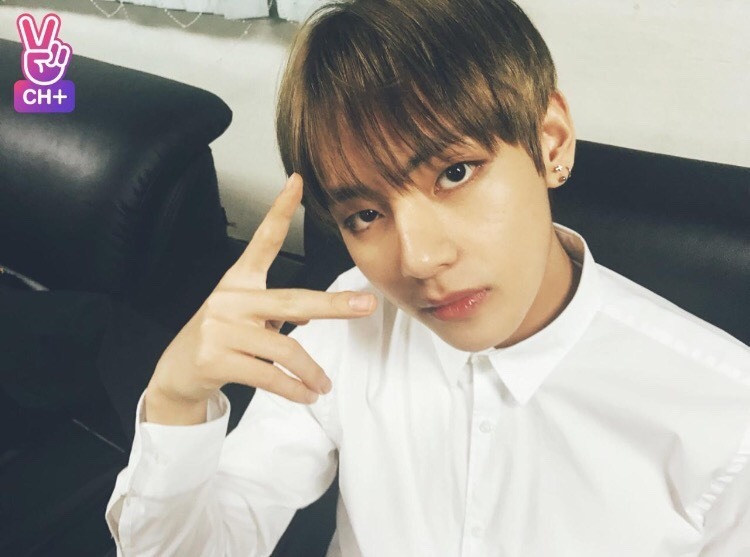 Home Entertainment Here’s the Most Handsome Face of 2017- BTS’ V’s Top 30 Selcas! 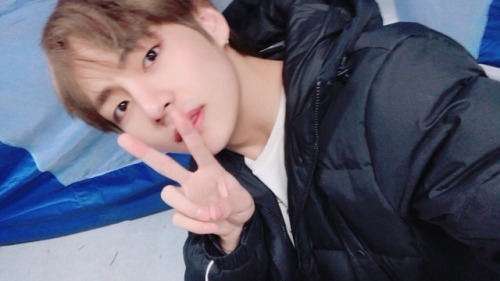 Here’s the Most Handsome Face of 2017- BTS’ V’s Top 30 Selcas! 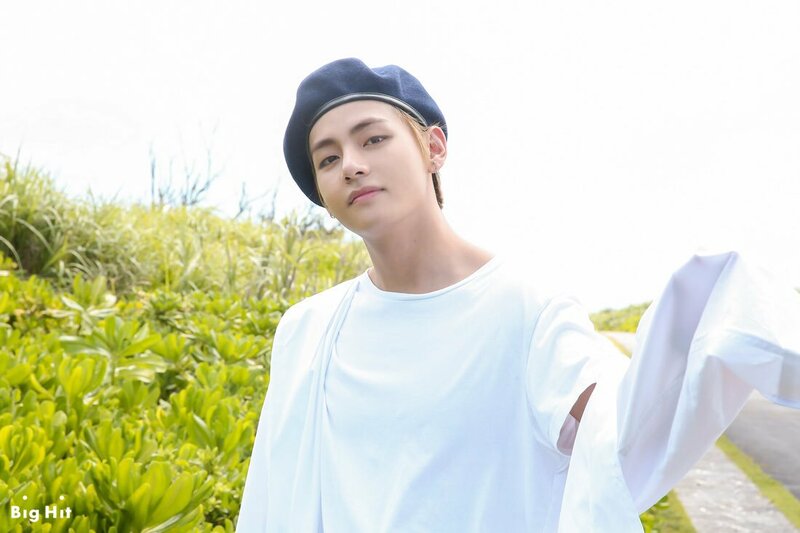 Kim Tae-hyung, better known by his stage name, V , is member of the biggest South Korean boy-band of the year, BTS, also known Bangtan Sonyeondan, Bangtan Boy Scouts, Bulletproof boys, and Beyond the Scene. BTS’s V was born on December 30, 1995, in Daegu, South Korea. He has a young brother and sister, which means he is the eldest of the three siblings. V became a trainee for Big Hit Entertainment after he passed an audition in Daegu. He wasn’t planning on auditioning himself, he just took a friend, but one of the Big Hit crew noticed him and asked him to take part in the audition, and he was the only one who was accepted in Daegu. 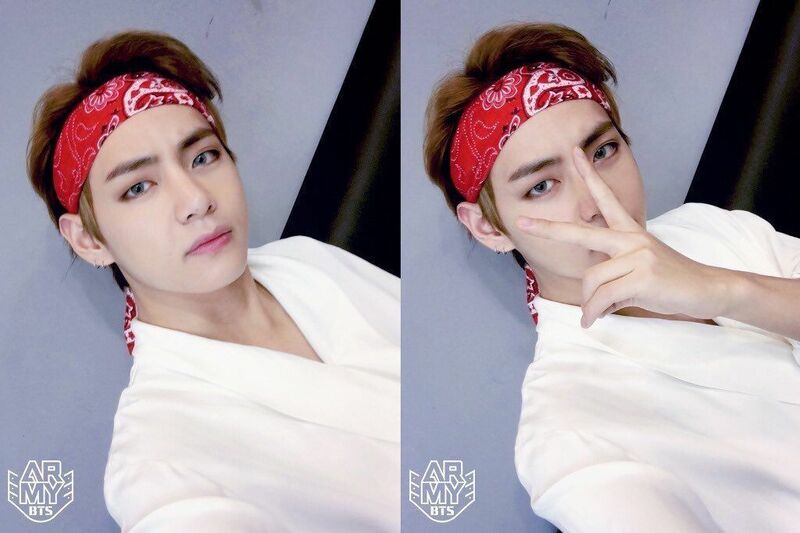 On June 13, 2013, V made his debut as a member of BTS, and they first appeared on Mnet’s M Countdown with their first song, “No More Dreams”, from their single 2 cool 4 Skool. In 2015, BTS released the album Wings, where each vocalist sings solo, and “Stigma” was V’s first solo song. His newest solo is “Singularity”, on their latest album Love Yourself: Tear and Love Yourself: Answer. His talents don’t only lie with singing, he also works as a host and acts. In 2016, he played Seok Han-sung in the drama Hwarang: The Poet Warrior Youth in a supporting role, and continues to be successful with his music in his role as a member of BTS. 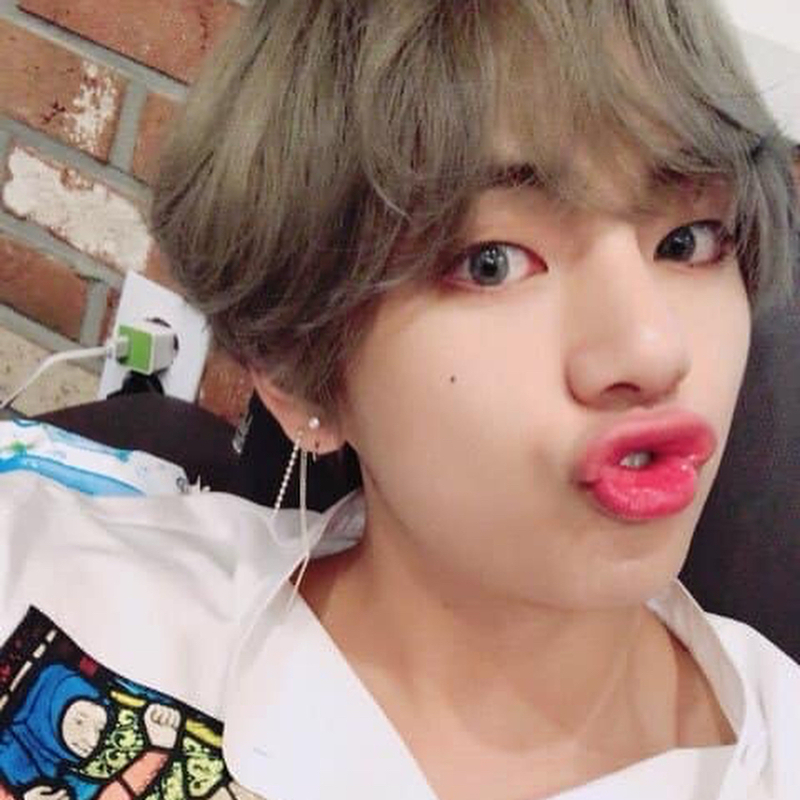 BTS V’s Top 30 Selca! 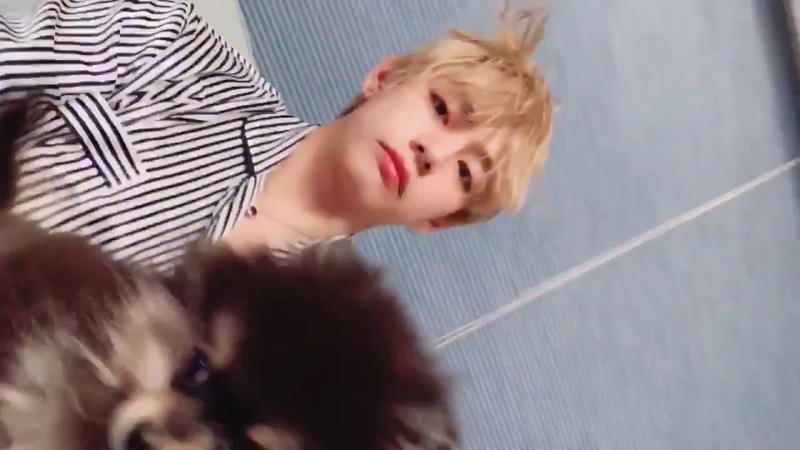 Of the members of BTS, it’s often V who clowns around and does silly things. 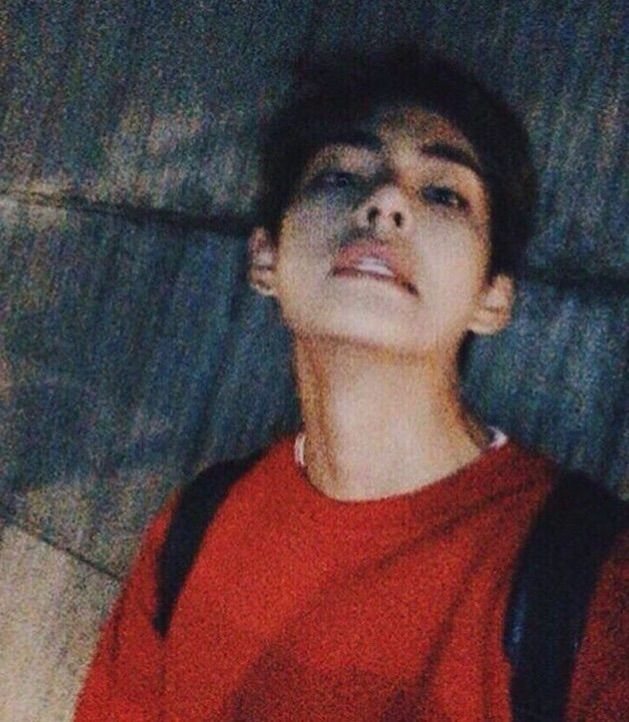 BTS fans, or ARMY, sometimes call him “Alien” because of his unexpected antics. For example, he once pretended to be asleep when BTS was conducting interviews. 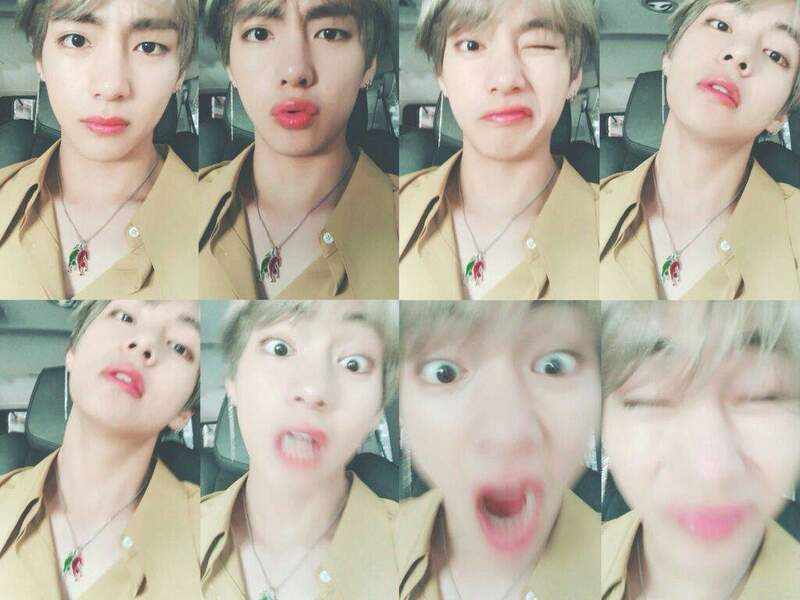 V really likes photography and taking selca (selfie camera) while making funny faces, for example in the photo below. 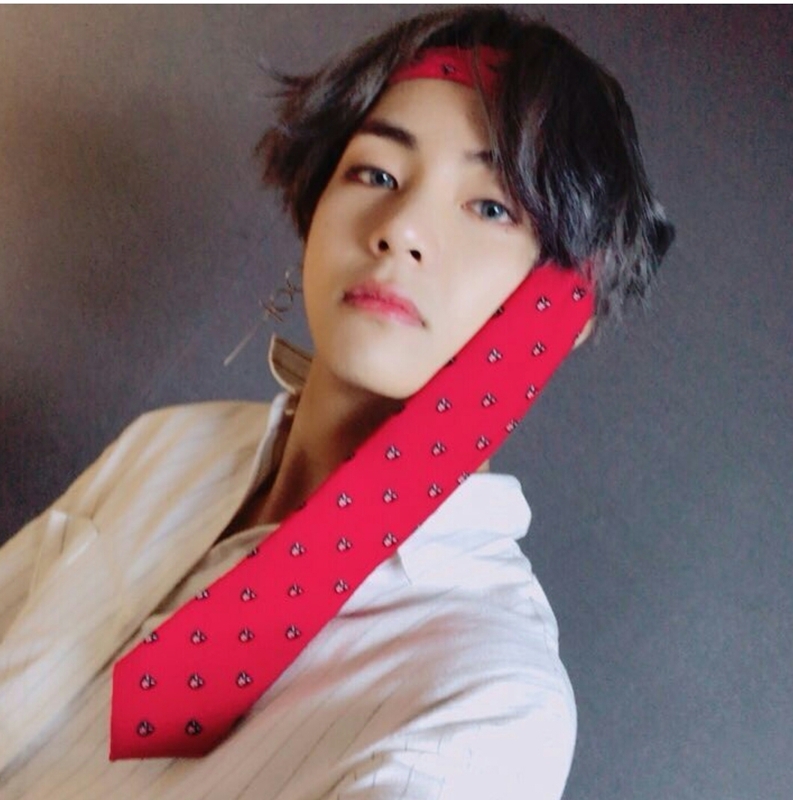 V uploaded a selca post with a red tie around his head, so that his face really looks awesome! The next selca was when he was at a TV station, and BTS was singing “Not today”. 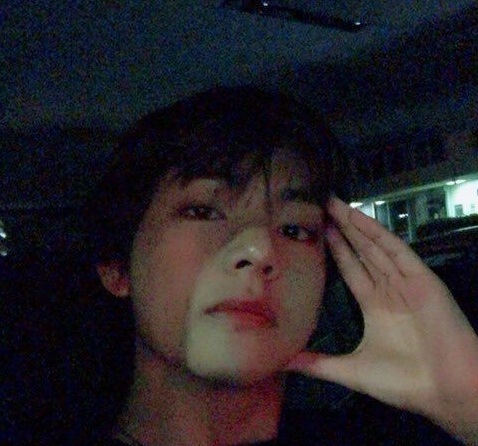 V uploaded this selfie of his handsome face. The selca above was taken while shooting for the Love Yourself: Her photocard album. 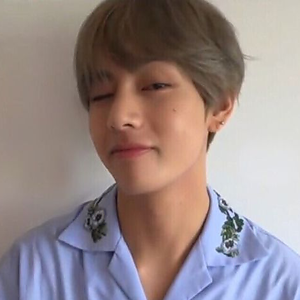 In this photo, Taehyung, or V, is wearing a shirt with a floral motif around the collar, while winking and with an artificial mole on his cheek. V is always a bit moody compared to other BTS members. 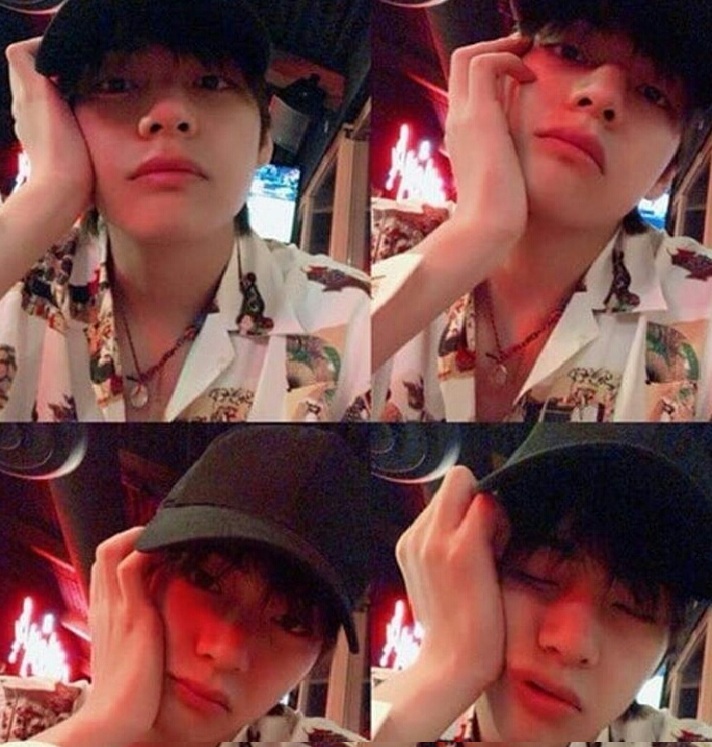 For example, in the selca he took above, V posted a shot which was dark and slightly blurred, while his face was lifted up. 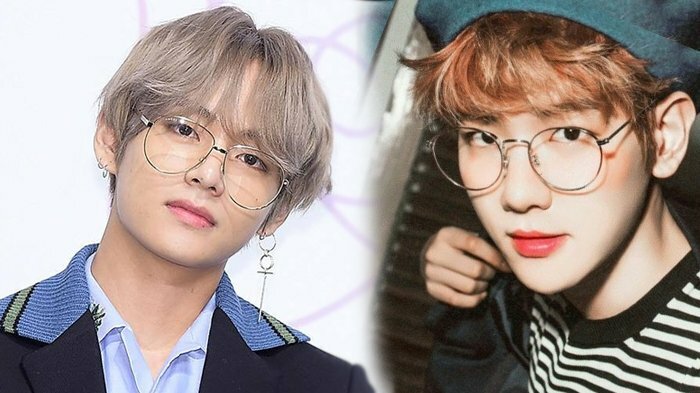 Kim Taehyung’s good looks managed to outrank those of many top male celebrities from all over. 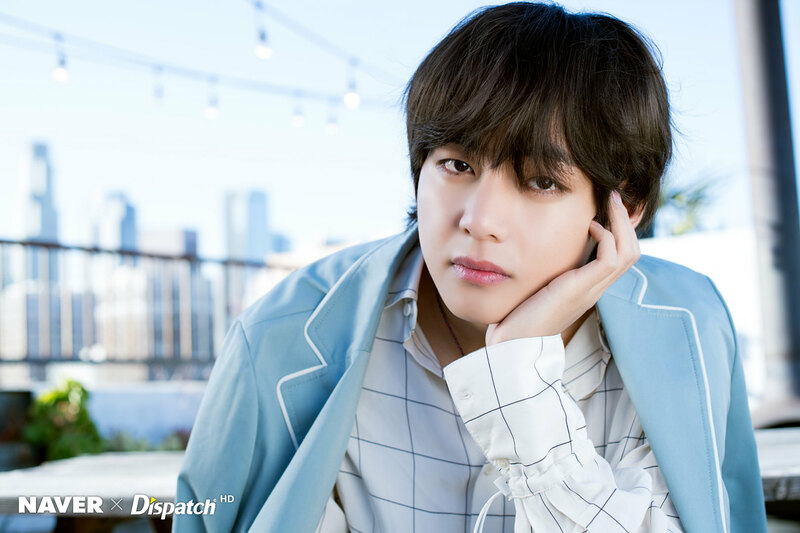 The whole world acknowledged that V deserves to be ranked at the top of The 100 Most Handsome Faces of 2017. Even though he was chosen as the most handsome person, he isn’t shy about showing his ugly face. 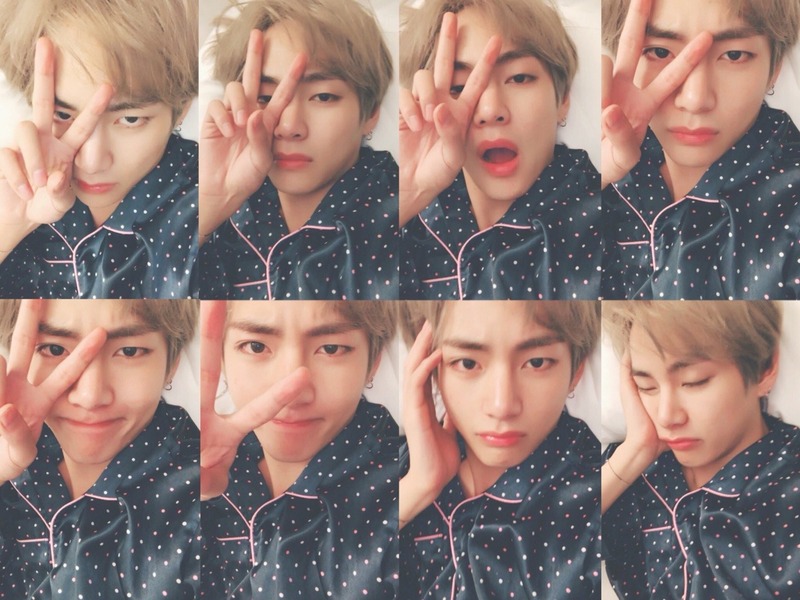 Even he did a cute pose when he took this selca in his pajamas, with his sleepy eyes. And look at the photos below, when V is taking car selcas, and making all those different expressions. Again, V takes pictures of his face in a dark or unclear setting. But, after all, his face is already handsome, so it didn’t look like his bad side, especially for the ARMY. It can very difficult to get a picture with the right face. In the photo above. 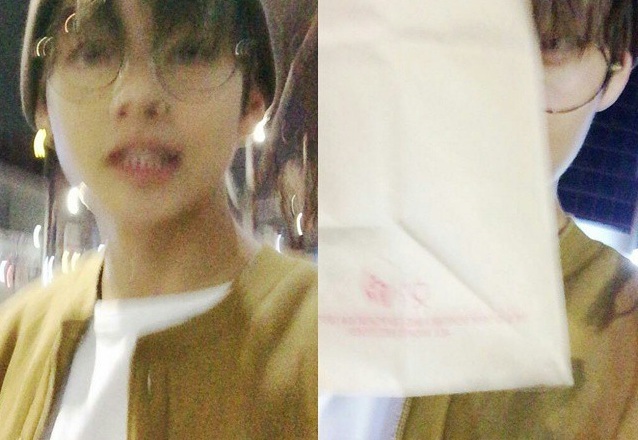 V covered half his face with a piece of paper, and the photos he took were blurry. On June 6, 2017, V posted a photo he took of this scene, on the BTS Twitter account. In the initial post, you can see the photos of the scenery he posted, but his next post showed a view of cloud deck outside the window of his plane, next to a selca where he’s using headphones and wearing glasses with red frames. 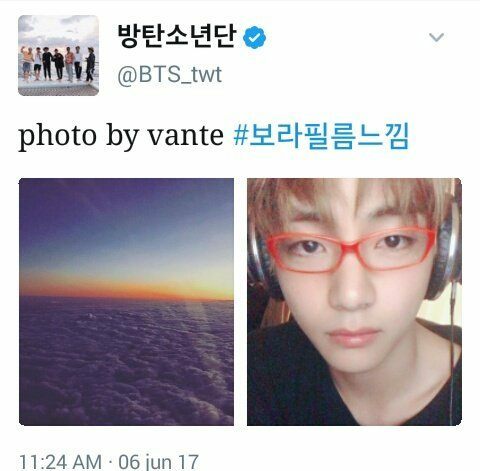 The caption on the photo is “photo by Vante”. Vante is a pseudonym he made. It turned out that the post was accidental and it was immediately deleted, and ARMY was asked to forget about the incident. V is also an animal lover, especially dogs. 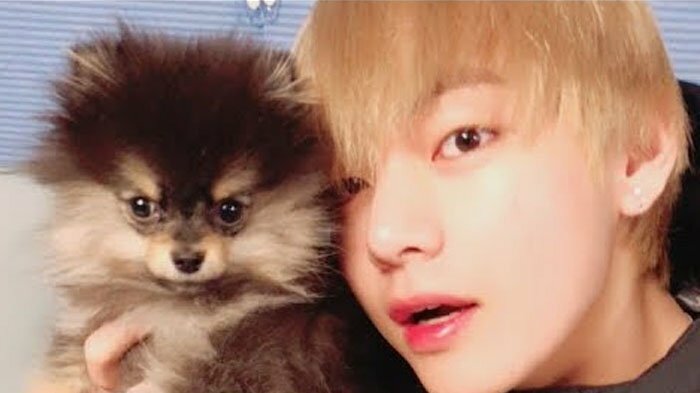 He has a dog named Yeontan, and he often takes selca with his favorite pet, which makes ARMY jealous of Yeontan. 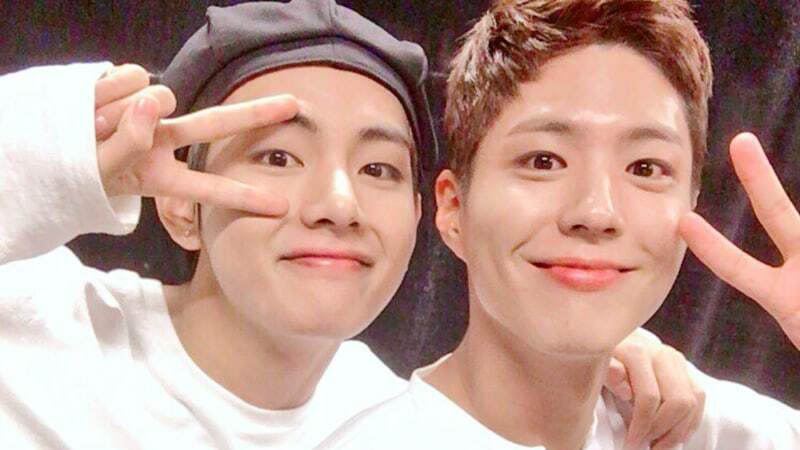 The photo below is a selca V took with the actor Park Bo-gum, who’s his best friend. 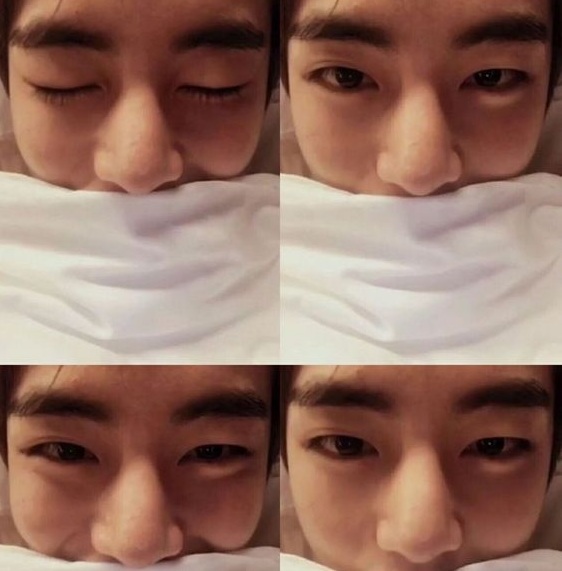 V posted one selca where only his eyes were visible, because his mouth was covered with a pillow. It still looks adorable! 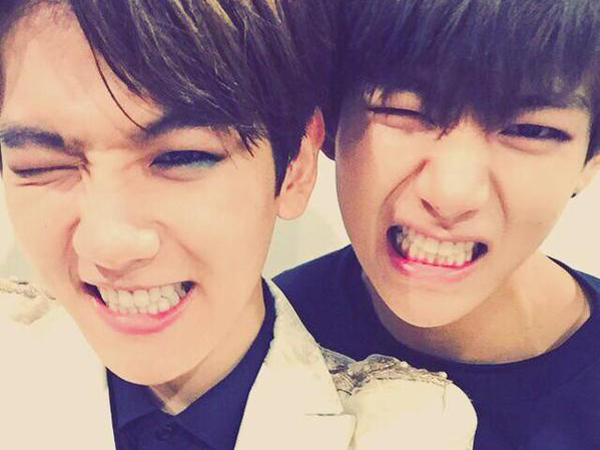 V is part of BTS, but he resembles Baekhyun from EXO. Even though the two are similar, BTS and EXO get compared so often that ARMY and EXO-L are involved in fanfare on social media. As a result, both men’s fans try to avoid making the comparison. Even though their fans often argue, the idols are actually good friends. You can see the evidence of that friendship in their selcas. When they’re together, they almost look like twins! 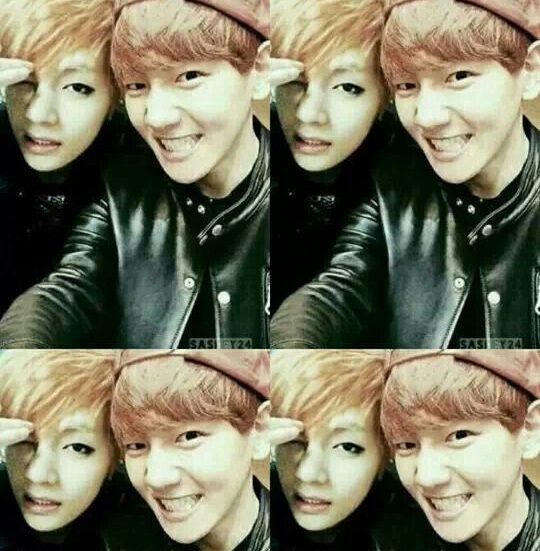 Not only does V resemble Baekhyun, he’s also been said to resemble BAP’s Daehyun. 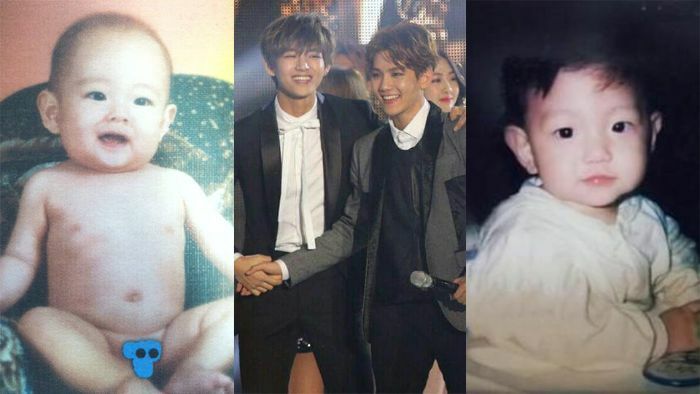 V once said that he was the son of Daehyun and Baekhyun, explaining that Daehyun was his father, while Baekhyun was his mother. Needless to say, he was joking. 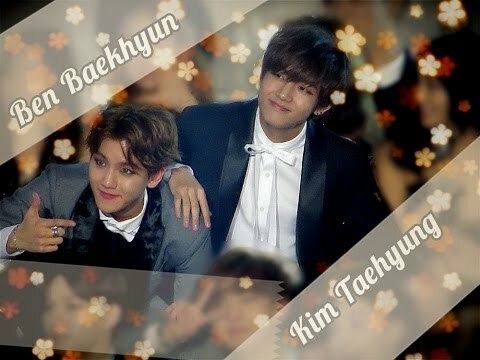 V has something else in common with Baekhyun: both of them are very silly, and the best-looking members in their respective groups. Despite their obvious similarities, there’s one big difference between them — their smiles.